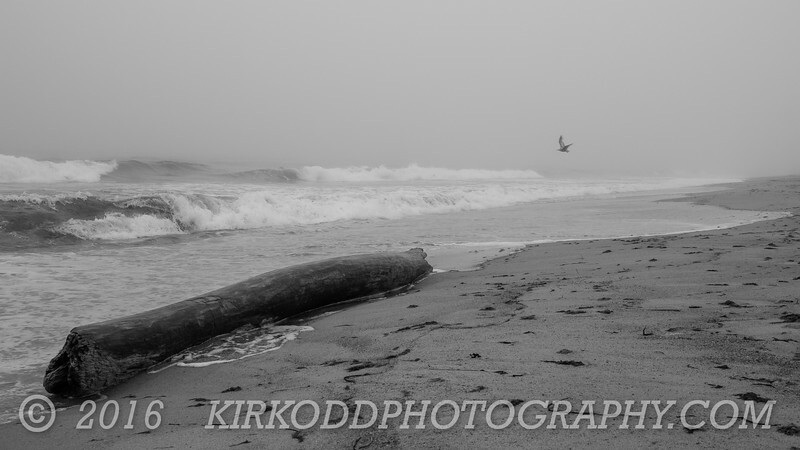 Misquamicut Beach in Rhode Island is a popular tourist destination; less so on foggy days however! We had the beach all to ourselves, and thus had the opportunity for some gorgeous landscape shots! This black and white picture captures the awesome beauty of New England, and would compliment any maritime themed decor.